How Does a Buy-Sell Agreement Affect My Florida Probate Estate? Just because you die in Florida, that does not mean all of your assets are governed by Florida law. If you own shares of a corporation or partnership, for example, your estate’s rights may be governed by the laws of another state. Furthermore, your estate may be restricted in terms of how it may dispose of such business interests. Many businesses use buy-sell agreements as a tool to ensure continuity of ownership. Basically, a buy-sell agreement states that when a partner or owner dies, a specified person or group–often the other partners or co-owners–has the legal option to purchase the deceased party’s interest. The agreement should also specify a method for properly valuing the deceased party’s share. Buy-sell agreements are generally enforceable and they can override other provisions of an estate plan or Florida probate law regarding inheritance. This is why it is important to consult with a Florida probate attorney if you are uncertain as to the potential impact of a buy-sell agreement on your own business interests. In some cases, an agreement can even prevent your estate from litigating a dispute in the Florida courts. Here is a recent example. This case involves the disputed fractional ownership of a farm in Massachusetts. The decedent in this case belonged to a family limited partnership, of which she held a 0.2 percent interest. The partnership agreement, signed six years before the decedent’s death, contained a buy-sell provision. Specifically, when a limited partner died, the agreement said the partnership had the right to buy back the deceased partner’s share unless she left it to a family member. In this context, family member did not include spouses. This became an issue when the decedent’s husband attempted to claim the shares in the family partnership for himself. The husband opened a probate estate for his wife in Florida. More than three years after her death, he moved to reopen the estate and asked a Florida court to hold that he lawfully owned the shares, as the partnership had not exercised its option under the buy-sell agreement within the specified time period. The partnership maintained the Florida courts lacked “personal jurisdiction” to hear the case. In any lawsuit a court must have jurisdiction over both the subject matter of the dispute and the parties themselves. Here, the partnership is based in Massachusetts. Furthermore, the partnership agreement itself–including the buy-sell provision–is governed under Massachusetts law. Given this, a Florida appeals court held the husband could not pursue his claims in Florida unless he could demonstrate some sort of “minimal contacts” between this state and the partnership to justify invoking personal jurisdiction. Need Advice on Protecting Your Family’s Future? 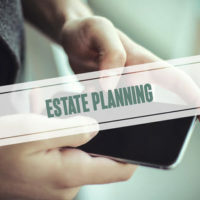 If you are looking to protect your own business interests through a family limited partnership or similar vehicle, you should speak with a qualified Fort Myers estate planning lawyer as soon as possible. At the Kuhn Law Firm, P.A., we can advise you on a number of options for helping you and your family minimize the burden of transferring property after your death. Call us today at 239-333-4529 to schedule a free estate planning consultation with a member of our team.